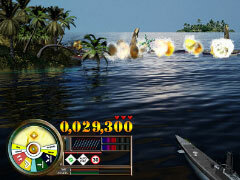 Steer the course of a fearsome battleship and defeat powerful enemies! Do battle in broad daylight or at night, master 10 types of missions, and build a reputation as the terror of the seas in 120 campaign levels. 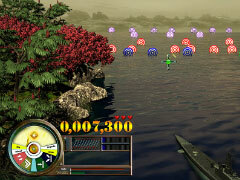 Stunning water and battle effects will keep you glued to the screen as you guard 13 locations, man five unique ships and turn nearly two dozen enemy craft into Swiss cheese. 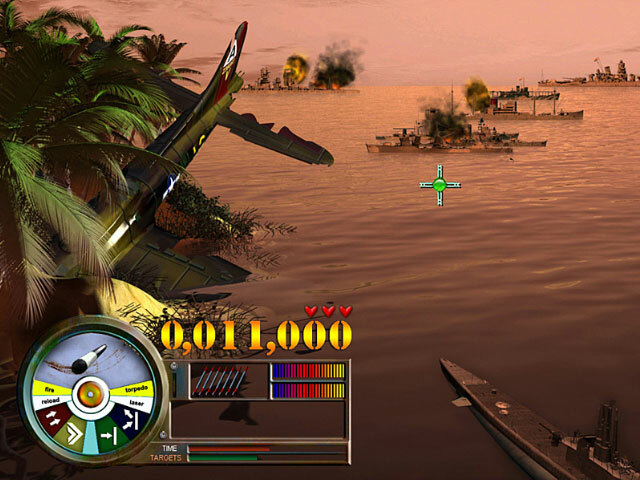 Like a classic arcade game, Pearl Harbor: Fire on the Water will grab you and not let go as you pull out all the stops to beat one... more... level! Play this explosive action game today!. -Intense and involving game play.